Warren Buffett is no doubt one of the few business icons who can deliver the gift of wisdom and truth when we need it most. And those truths, when you really stop and consider them, are always spot-on. In her biography of Buffett, "The Snowball: Warren Buffett and the Business of Life," author Alice Schroeder writes about a time when Buffett gave a presentation at The University of Georgia. The students asked him about his definition of success. When you're nearing your end of life, your only measure of success should be the number of "people you want to have love you actually do love you," he answered. "I know people who have a lot of money, and they get testimonial dinners and they get hospital wings named after them. 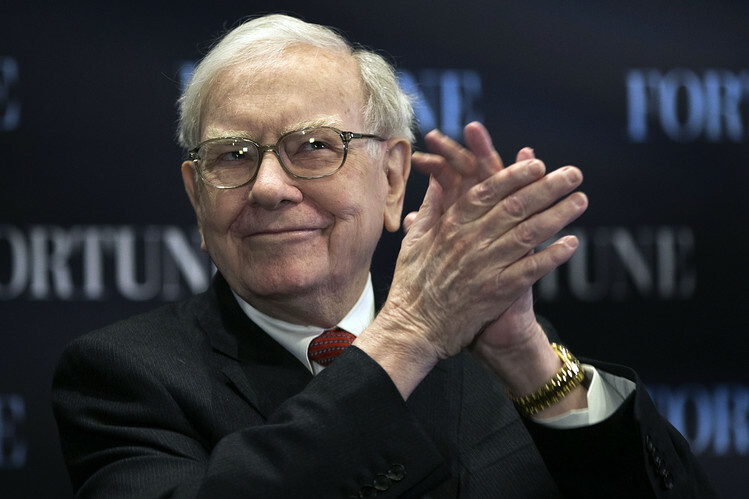 But the truth is that nobody in the world loves them," said Buffett. "If you get to my age in life and nobody thinks well of you, I don't care how big your bank account is, your life is a disaster." That's right, a self-made billionaire says that the amount you are loved — not your wealth or accomplishments — is the ultimate measure of success in life. Love is one of the most powerful emotions a human being can feel, and yet, we still live in an individualistic society of keeping up with the Joneses: We forge ahead with our business ventures and strategically plan our career paths in hopes of finding fame and fortune. We feel we've finally arrived at the top when we're able to vacation twice a year to exotic islands and drop a European luxury car (or two) in the garage. We dream about having all of these things, love be damned. "The problem with love is that it's not for sale," Buffett told the students. "The only way to get love is to be lovable. It's very irritating if you have a lot of money. You'd like to think you could write a check: I'll buy a million dollars' worth of love. But it doesn't work that way. The more you give love away, the more you get." The laws of love are reciprocal. When we choose to love someone unconditionally by encouraging and believing in them, love comes back in full force through respect, admiration, trust and loyalty. What's more, when we receive those things, we become more self-compassionate. A 2011 study conducted by the University of California found that self-compassion can increase motivation, willpower and the ability to recover from failure. Another study, published in 2007 in the Journal of Research in Personality, concluded that people who have self-compassion are more likely to be happy, optimistic and show personal initiative. Empathy is one of most common traits of likable (or, as Buffett prefers to say, "lovable") people. True empathy occurs when you're able to step into someone else's shoes and see their perspective. Empathy also plays a major role in a person's potential to influence others. In a DDI study of more than 15,000 leaders across 20 industries, researchers found that the ability to listen and respond with empathy was the most critical driver of a team's overall performance. When you enjoy work, you enjoy life. In Carol J. Loomis' biography of Buffett, "Tap Dancing to Work: Warren Buffett on Practically Everything," she mentions a quote from Buffett: "I love every day. I mean, I tap dance in here and work with nothing but people I like. There is no job in the world that is more fun than running Berkshire, and I count myself lucky to be where I am." The evidence here is clear: In positive and uplifting cultures where people share the same values, beliefs and norms, you'll find a high-performing group of people who attract folks of the same kind. As children, we're often taught the Golden Rule: "Treat others as you want to be treated." But the Platinum Rule takes it to a whole new level: "Treat others the way they want to be treated." When we follow the Platinum Rule, we can be more certain that we're respecting what they want, instead of projecting our own values and preferences. That doesn't mean we should ignore the Golden Rule altogether, but we should realize its limitations given that every person and every situation is so different. If you want to have your dream career, you must follow your passion. It's that simple. Many of us take our cushy paychecks and job security for granted, even though we might hate our jobs and would rather be doing something else — something we actually love. As humans, doing what we love is a major contributor to true happiness in life. So if you don't know what your passion is, it's time to figure that out.